If you’re concerned about privacy or censorship, or if you simply want wider access to international websites, a VPN offers the security and freedom of a truly open Internet. With 800+ servers around the world, including Singapore, Le VPN lets you browse the web the way you want to for just a small monthly fee. Perfect for businesspeople, tourists, students and more, our service is fast, secure and affordably priced. A key advantage to browsing the Internet through a VPN is the additional protection from identity theft it affords. 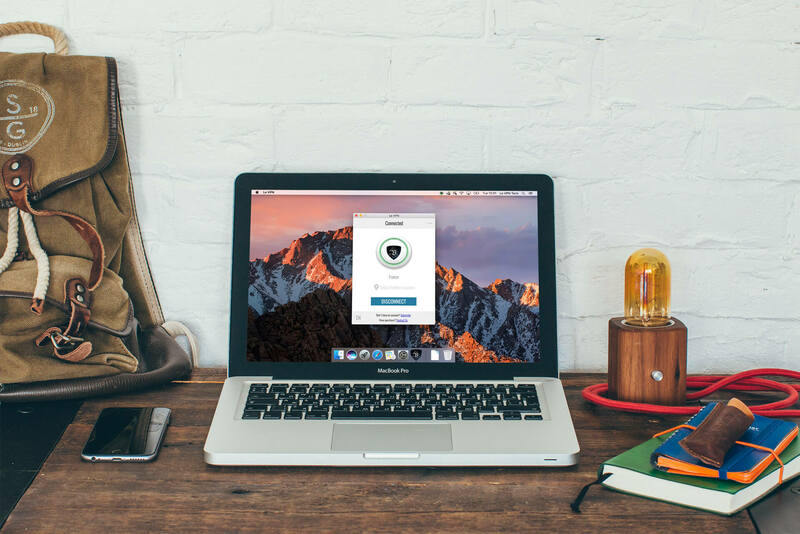 If you frequently rely on hotel, airport or other unsecured wireless networks, a VPN lets you know your personal information is protected while you work. Le VPN customers have their choice of three security protocols for browsing the web — OpenVPN, PP2P and L2TP. With our easy-to-use software, you can quickly select the best possible security in any scenario. Traveling or working remotely shouldn’t mean having to put yourself at risk. With a VPN, you get the confidence of knowing your Internet connection is secure. Avoiding censorship isn’t the only reason to use a VPN in Singapore. If you’re visiting the country from abroad and want to stay up-to-date with the latest news and media from home, a VPN lets you bypass international copyright restrictions and view foreign TV shows, connect to your Netflix or Hulu account, and stream music via Spotify. Visiting Singapore shouldn’t have to mean losing touch. With 800+ servers located around the world, Le VPN connects you to your favorite Australia, Indonesian, Japanese, American and other programming. A VPN can also be useful for any Singaporean traveling abroad. 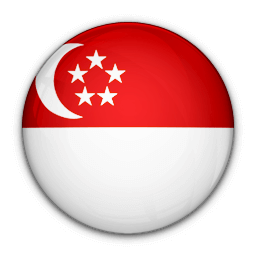 Our Singapore-based IP lets you access national programming from all Starhub and MediCorp channels, where you can watch the most recent LionsXII games and more. If you frequently travel for business or pleasure, a small monthly investment in a reliable VPN means you never have to miss important televised events or your favorite programming. 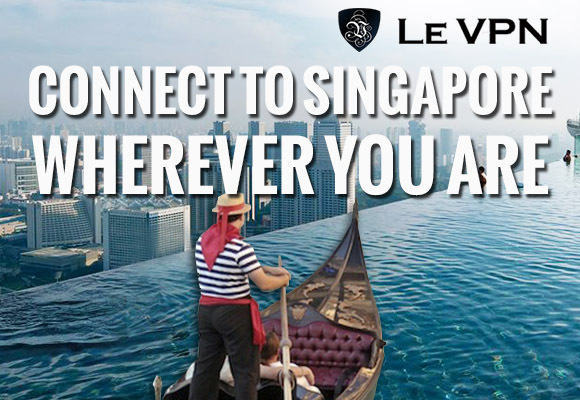 Le VPN is also great for Singaporeans studying abroad or expatriates who want to stay connected to home. One additional benefit of using a VPN is the ability to bypass government censorship regulations. With a VPN, you can enjoy unrestricted access to more than 100 websites blocked by the State Media Development Authority (MDA). You can also communicate with others freely without fear of reprisal. All Internet activity passing through a Le VPN server is encrypted using the AES-256 algorithm — the most advanced cipher available today. Not only is it impossible to monitor which sites you visit, but it’s impossible for a third party to know what type of Internet activity you’re engaged in — whether you’re streaming media, composing an email or viewing a website. Whatever your reasons for requiring a VPN in Singapore, Le VPN is the clear choice for value-conscious consumers. Our all-inclusive plans provide everything you need to get started right away, including our proprietary software for Mac, Windows and mobile devices. All customers receive unlimited speed and data transfer, up to two simultaneous connections, and full access to our complete selection of IPs around the world. Whether you’re in Singapore, Malaysia, Europe or North America, there’s a local Le VPN server offering fast, reliable and secure access to the Internet. Signing up for Le VPN is easy and takes only a few minutes. Our plans start at just $4.95 USD per month — get started today and experience a better way to surf the web!